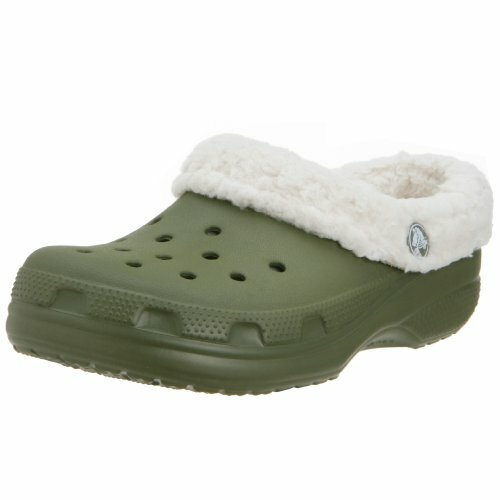 This strapless slip-on takes a cozy twist on crocs' original designs keeping feet warm and toasty. Comfortable, cool and molds to your feet. Features an orthotic footbed and an advanced toe box ventilation system. Slip-resistant and non-marking outsoles. Odor resistant construction. Features an ergonomic Italian styling; wide, roomy foot bed; made with croslite PCCR material. Buoyant and weighs only ounces. Has fur lining for extra comfort. The fleece lining causes these shoes to fit more snugly. Please order one size larger.